As an educator in both community college and university settings, I had the great privilege of being around students as they prepared to enter the workforce. Some were just emerging from college as fresh-faced new graduates while others were finding a new lease on life with a change in career. Being in healthcare, I was always grateful that my students had the opportunity to spend time in the “real world” of their new profession in the form of the internships that were part of their programs of study. Whether it was one of the more than 20 health career programs I oversaw at the community college or the program-specific HIM students I taught at the university; time and again I witnessed the great benefit that these clinical experiences provided to students. And the most important lessons were almost never about the technical aspects of their careers. Learning to deal with people who have a different perspective than we do is an important skill if we want to be successful in our careers and in life. Depending on where we grew up, the role models we had as children, and the opportunities for learning we have experienced; we may be really good at rolling with different people and personalities, or we may need a lot of work. For students, having the chance to face some of these challenges in a safe learning environment where there’s a trusted professor (or an understanding Dean) to talk to when things go awry is a golden opportunity to self-correct before those habits become hard-coded and create lifelong career chaos. 1. We’re not going to like everyone we work with, work for, or who works for us. We need to get over it. This isn’t kindergarten and we’re not there to make a BFF – we’re there to do a job. Being successful requires that we learn how to separate the two. 2. Yes, there are people who irritate us with their attitude, actions or the things that they say. Guess what? Chances are very good that we’re irritating someone, too. We need to learn how to be as forgiving of what irritates us as we would like others to be when it comes to our quirks, personality traits and bad habits. They have as much right to be themselves as we do. 3. Understand that across time and continents, wars have been fought because of misunderstandings. Seek first to assume no harm in someone’s attitude, actions or words. Nine times out of ten, they truly mean no harm. And if we start World War III because we’re interpreting their actions to be an act of war – we’re the jerk – not them. 4. Most people are wrapped up in their own “stuff.” They’re thinking about THEIR careers, THEIR families, THEIR salary, THEIR lives. They’re not spending time thinking about how they can irritate us, or make us miserable. In fact, they’re probably rarely thinking about us at all. So if we’re convinced that someone is doing something “just to get me,” it’s time for a reset. 5. It’s always a good idea to check ourselves. When someone does something that really irritates us, we need to ask ourselves “why?” What is it inside of me that was set off by the words they used or the attitude I perceived? We tend to think that if we’re irritated at someone’s actions, THEY need to change. Wrong. The works sits at our own feet and it’s ours to do. Learning to navigate a new Coding career can be challenging enough. If we can learn some of these basic people skills up front, we can set ourselves up for a truly successful career path and lay a foundation for a Coding career to be proud of for years to come! Rebecca Harmon returned to HIM practice in a leadership role after spending many years as an HIM educator. 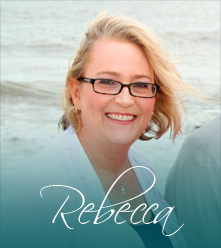 Tapping her broad history of diverse healthcare experience that began with a tour of duty in the US Navy, Rebecca writes regularly and speaks on education, workforce issues, management and life. An energetic and engaging speaker, Ms. Harmon enjoys sharing her unique perspective with student, faculty, professional and community groups. Great article. I keeping this one for future reference as a great reminder. A very beautiful insight of how people react to others as students or in the workplace. Everyone needs to be mindful of others.